There aren’t that many festive gay movies. 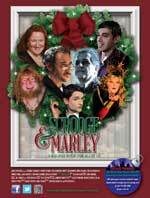 We got Make The Yuletide Gay a couple of years ago and now along comes Scrooge And Marley. 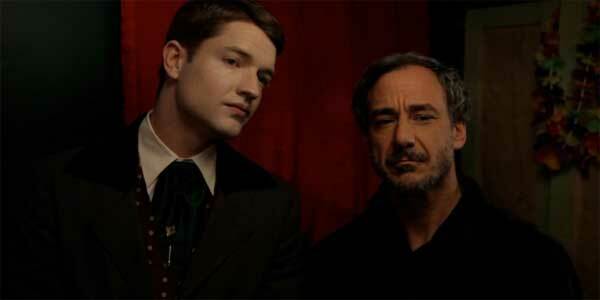 To be honest it’s almost a surprise that nobody’s made a LGBT-themed version of A Christmas Carol before. It is, after all, the most adapted single story in the history of cinema (there are more Sherlock Holmes movies, but they’re based on a variety of tales), so the fact there hasn’t been a proper gay take until now has been a bit of an oversight. A few years ago, gay themed horror films were pretty much unheard of, but very slowly more of them have been emerging, although it’s not exactly like we’ve had a flood. 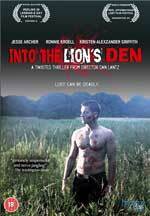 Now a new one has arrived in the form of Into The Lion’s Den, which also marks the first UK release from a brand new British branch of the successful US LGBT distributor Breaking Glass Pictures/QC Cinema.